Angelesey Abbey is a lovely property to visit. Very local to the Burwell, Cambridge and Newmarket area. 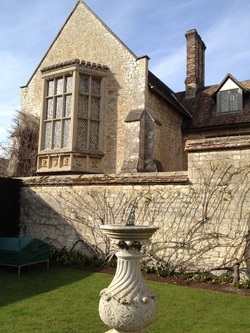 The house was a priory but after the dissolution enforced by Henry VIII, it became a country home. It holds a lot of events especially for children. Its a great place for a day out and a picnic but dogs are not allowed. 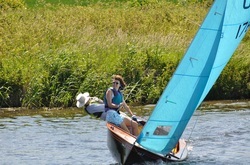 The Cam Sailing Club is one of the oldest inland sailing club in England. It was put together in 1899 and people have been sailing there ever since. They sail a wide array from dinghies to cruisers and if that sailing talk is going over your head, that is okay because they hold training sessions and are always happy to help out. I belong to the Cam Sailing Club because my husband and his family have been sailing there for a long time. It is a very welcoming and family oriented place. We also have great social events and they are very welcoming. So if you have ever wanted to sail, come and see what our club is all about. The Cambridge to Ely walk is a fairly easy walk, I think that the distance (18 miles) is more a problem than the terrain, it is East Anglia. It follows the River Cam starting from Midsummers Common up to Ely. This website really gives the walk in great detail but stop in Ely! Jane and I have walked this several times. I find it best when the weather is good but not too hot! We often do it with MacMillian for Charity which is a well organised event. You can also walk from Ely to Cambridge, either way you will walk by the sailing club I belong to so make sure you wave! 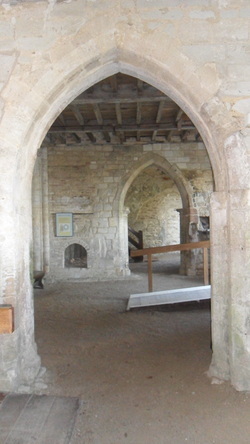 Denny Abbey is another great place to take the children. 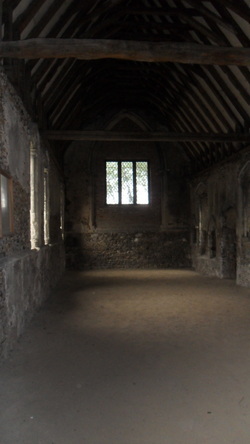 It is a former abbey that was later converted into farmland. It has been home to 3 different monastic orders: Benedictine monks, Knights of Templar and Franciscan Nuns. I love it because you can see the difference in the styles of masonry. Also there is a cute farmhouse so you get an idea of what life was like in the 1940s and what life was like in this area and how the world has changed it. 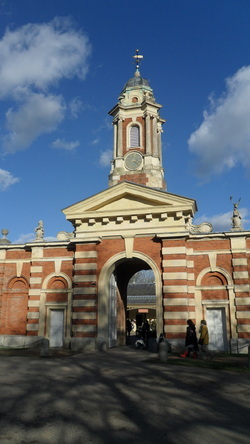 It is also an English Heritage property so if you are a member you will have free admission. They also have children friendly activities and events. 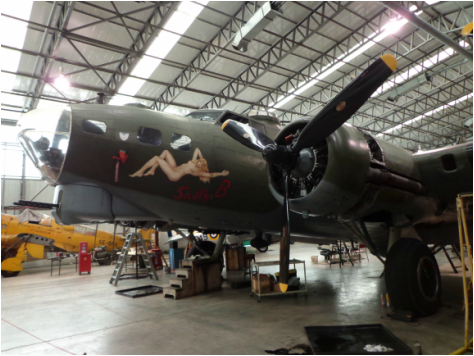 I think that any American stationed in this area should go to Duxford Air Museum. Not only do they have an American plane display including a B-52 but there is a display that really puts in perspective what the British have experienced during the war. This is an important display to understand the history of our relationship with this country. They have great air shows and you can get in free for Remembrance Day. It is very child friendly and a great day out! Visiting Duxford Chapel is not suitable for a day out but if you are in the area, its a good place to stop and have a look around. It is free to visit this 14th century chantry chapel. Check out the website for more info but this is a nice find off the beaten path. Grafham Water is a water park near Huntingdon. It makes for an affordable day out with the family. We met up with my friends and we rode bikes around the lake. We saw a lot of families out and about. You can also windsurf, rock climb, canoe, fish and birdwatch there. It is just nice to know that there are places like this where you can go to get away from it all even if it is just for a day. I wouldn't say that Linton Zoo is a zoo like I would expect to see but its a nice quiet place to see animals on a smaller scale. I took one of my friend's daughter here. One thing I liked was an Elephant beetle named Billy that was a stowaway in bananas from Costa Rica. He survived being chilled, gassed and frozen. They sourced a female beetle in hopes of mating them. 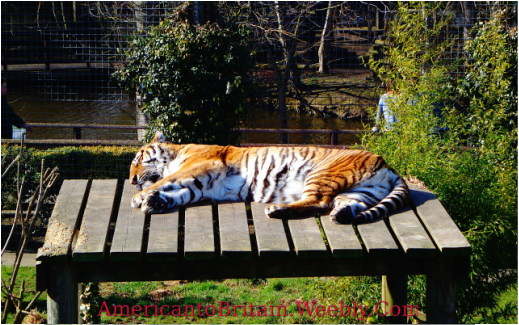 A great day out but don't expect the zoos you see in the States but saving that it would be great for small children and is outside of Cambridge. 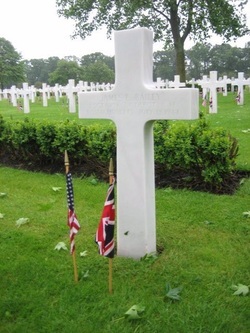 If you are American, you must visit the Madingley American Memorial Cemetery. Its is best to take it in at a ceremony on Veteran's Day or Memorial Day where they often have a fly by. But anytime is fine to visit as it is a very serene place. The Chapel is very nice as well. Inside, there is something for all religions in there. The stain glass in the windows are of the 50 US states listed in order of joining the Union. There is a map of the the shipping lanes during the war and bombing targets. On the outside of the chapel, there is a map of the American airfields in the UK during the war. they have recently opened a museum about the hisotry of Americans being stationed in the UK during WW2. If you need a reminder on why you are stationed here, this is a good one that is not to be missed. It makes me proud to have served my country. Here is the visitors brochure. 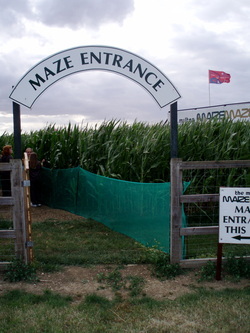 The Milton Maze is made out of corn stalks and is open every year. Since this year the Olympics are here, Farmer Rob has tthe theme as an Animals Game Maze. They are open from July to September. Shepwreth Wildlife Park is a great little zoo which is perfect for a last minute day out or for little ones that a trip to National zoo would be a waste. Its great because it is just big enough for little ones to see the animals without losing interest. It has a playground, farmyard and a train. Pack a lunch and head out. 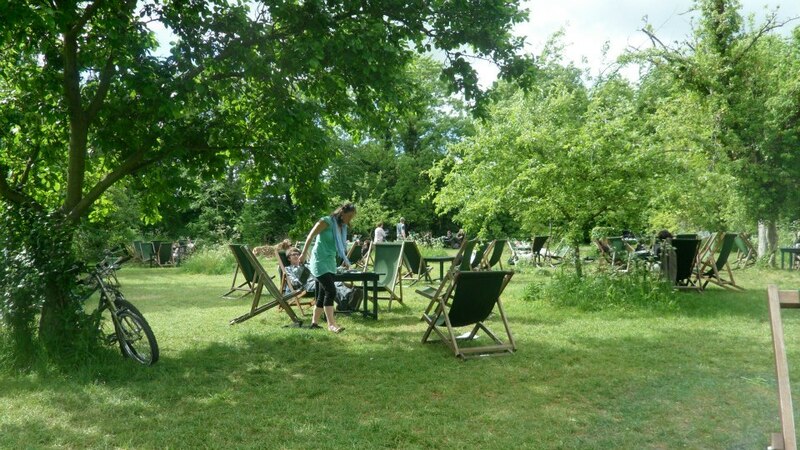 Wandlebury Country Park is a great place to take the dog and the children to get them out of the house. The country park is on the grounds of the remains of a 5th Century BC Iron Age Hill Fort. I am sure that it is as lovely in the summer as it is in the fall. It only cost me 2 pounds for the parking. 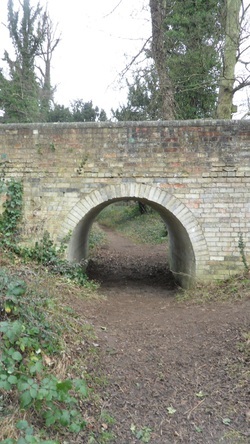 There are over 8 miles of trails and is a perfect place for the children to run a muck and have a picnic. The dogs must stay on the lead due to the wildlife but I found it is good for socialization for Dusty and he loved the smells along the way. Wimpole Hall is a beautiful National Trust property outside of Cambridge. You can take the dog for walks along the trails around the property. They also have a working farm and you can buy food from it. You can go cycling on the three routes that they have. They also have geocoaching there and you are able to rent a GPS from them. They have events year round. Definitely a great day out!